This is a beautifully illustrated version of the Inuit story about the spirit of the sea and northern fulmars (Arctic seabirds). It starts “long ago, when animals were able to speak with humans.” In this version, a fulmar (a powerful shaman) convinces a young woman (who does not wish to wed) to marry him and return with him to his home. None of his promises are true and the woman is unhappy in her new home. Her father visits her but sees his daughter unhappy so he takes her away in his little boat. The fulmar is furious and causes the winds to blow and the sea to rock the boat. To save himself, the father throws his daughter overboard, back to the fulmar. The daughter doesn’t want to return and hangs onto the boat, so the father cuts off the daughter’s fingers. The pieces become whales and seals and she sinks to the bottom of the sea surrounded by the mammals which developed from her body. Now, as the spirit of the sea, she protects the sea and the mammals from humans; and fulmars cry their regret, no longer being able to talk to humans. 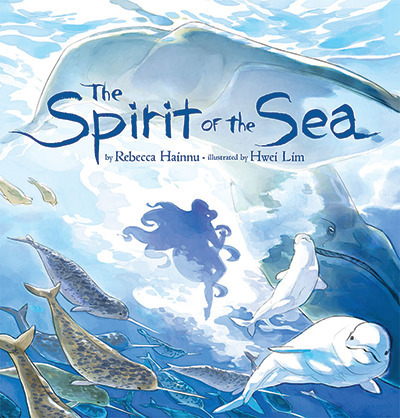 Classroom Connections: The Spirit of the Sea would be great for reading aloud, independent reading and comparing to other indigenous legends. Reading Comprehension Strategies: Making Connections, Asking Questions, Visualizing, Transforming.